Although there are probably millions of interesting iPhone cases and covers out there, most of them have started to look the same by now. It takes something pretty special to get our attention these days. The BookBook for iPhone 4 is awesome enough to make us take a closer look. It’s made by the same people who made the book disguise cover for the MacBook, which is equally awesome. The iPhone version of the BookBook is, of course, much smaller than the original. 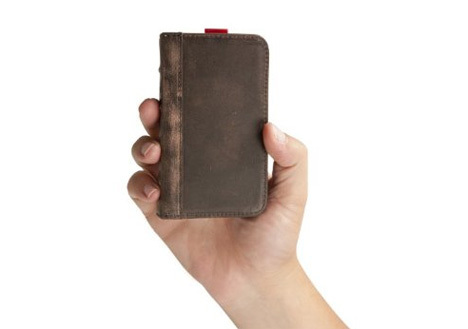 It looks like a tiny pocket version of a classic book – a well-loved tome that you carry everywhere. But the illusion will be broken the moment your book rings and you flip the cover around to answer it. 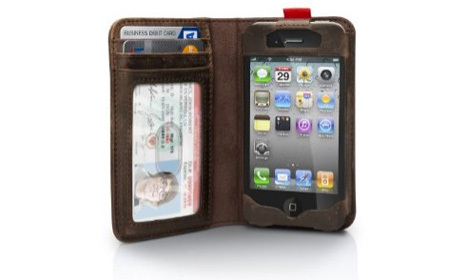 The cover also conveniently holds your ID and credit cards so that you only have to grab your phone case and keys when you run out of the house in the morning. Not everyone likes having all of their important stuff in one place, but when that place looks this awesome it’s kind of worth it. 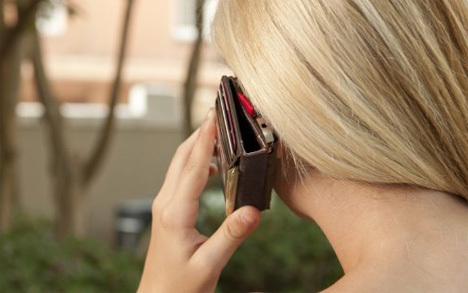 If there is one design flaw, it’s the fact that the ID pocket and credit cards are exposed to the world when the case is opened up to make or take phone calls. See more in Phones & Mobile or under Gadgets. September, 2011.